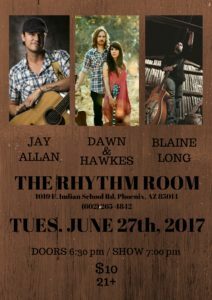 Jay will be debuting a lot of new material at this show! Joined by Tony King, Sturgis Waters and Mario Mendivil!! 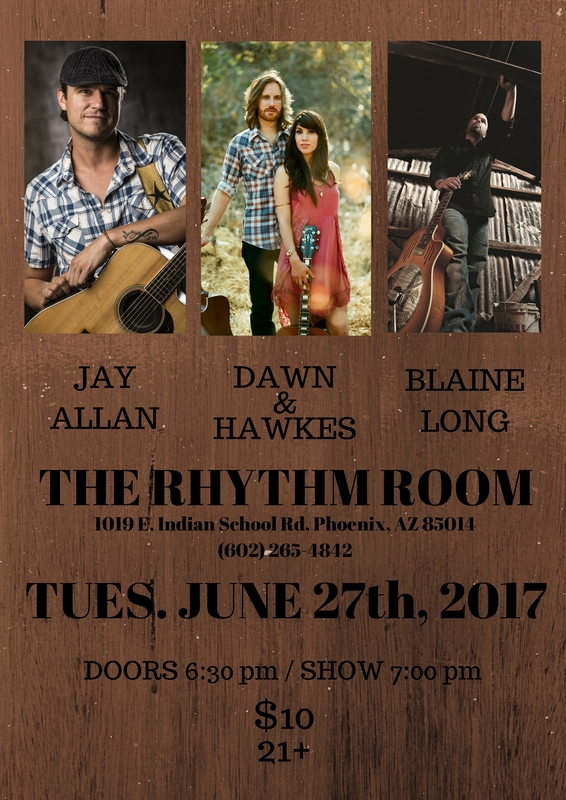 Sharing the line-up with Austin, TX duo, Dawn & Hawkes and local Phoenix soulful songwriter, Blaine Long! !